Shakespeare Surgery has a Patient Participation Group (PPG). This is a small group of patients who are registered with the practice who get together usually quarterly to discuss the practice, share opinions and discuss services that could improve the surgery. We are inviting you to join the voluntary group. If this is of any interest please call Lyndsey Jones to discuss further, you can find more information below of what a PPG. To find out what patients think of our services we gave questionnaires to a random selection of patients. We want to ask as many patients as possible for their views without the need to attend meetings. 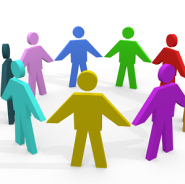 A Patient Feedback Group is a wider group of patients who agree to be asked for their opinions occasionally. Download the Patient Feedback Group leaflet and form to find out more and sign-up. Patient Participation Groups (PPG) are not new. The first were formed in 1972 and now roughly one in three GP surgeries has a PPG. But they are still not very well known and most people do not know what they do. This note explains how Groups work and what their functions are. Every Group is different and we feel that is a good thing. It means that the Group can develop according to the wishes of patients in each practice. PPGs tend to be set up by their practices but, over time, they are normally run by the patients. Typically, they will have a committee that meets regularly to give the Group some leadership and a sense of direction. The PPG should work closely with the practice and it is quite normal for practice staff, including GPs, to be part of the Group. PPGs are not set up to be a "forum for moaners" but nor are they "doctors' fan clubs". They are a route for patients to advise the practice on what matters most to patients and to identify solutions to problems. Members of PPGs should think about the wider patient interest and not just their own personal concerns when serving on the PPG. Every PPG should be clear about what it is there to achieve. It should have well thought out objectives so that, if someone asks what the Group does, there is a clear answer. These goals need to be realistic because the PPG is run by volunteers. In many cases, the PPG will work in partnership with the practice and other partners and, in that way, it can achieve a great deal more. If you are interested, please contact me on the number above.